For anyone who is serious about building a business and leveraging social media, it isn’t just about being on all of the networks like Twitter, Facebook, LinkedIn, Pinterest or Google+. Each network offers something of value, along with a distinct set of fans and followers that you need to work with and develop a relationship with. In fact, if you are not careful, social media can consume your entire day – posting updates, constantly checking your accounts for new retweets, mention or likes, or even joining new networks. Eventually, you’ll actually be hurting your business, because you have gotten away from the core of it – building new products, your website, even writing new content for your blog. I use If this then that to help create most of my social media content. 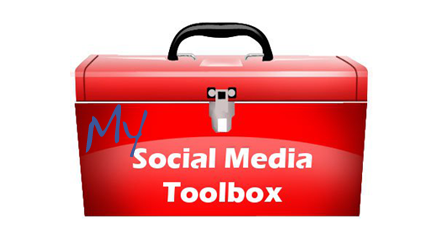 In my social media toolbox, out of all of the tools available, this one gets used the most – for Facebook, Twitter, LinkedIn, you name it. Why? If this then that doesn’t just let me post directly to one social network, but they also feature a lot of recipes as they call them – such as posting from LinkedIn to Twitter, Facebook to Evernote, or even the ability to update my photo on my Facebook Page and have it also update the one on my Twitter account (brilliant!). So not only does If this then that let me create content by setting up tasks, such as everytime I post a photo to my Facebook Page, have it also post that photo to Twitter but you can also have it update certain accounts, send you emails when someone sends a tweet (in case your forget to check Twitter) and pretty much anything else you can put your mind. Hopefully by now you’re starting to get the gist of how this tool works – it is essentially a content creating MACHINE, that you setup to your liking. For monitoring my social media accounts, I lean on HootSuite. What I love most about this social media tool is that I have the ability to get a birdseye view of all of my accounts (that I have added in HootSuite) at any time. Unlike using the standard accounts, like logging in to your Facebook Page to check who mentioned you or liked your content, you can do all of this from the HootSuite dashboard – just by setting up streams. A stream with a specific keyword, such as a brand. By setting up individual streams, it allows me the opportunity to focus on the things that are important to me, instead of getting wrapped up in other peoples tweets that won’t help my business. Remember, HootSuite isn’t just about scheduling tweets. You can add other accounts too, such as your Facebook Profile, Facebook Page, and even your LinkedIn account. Sadly, Google+ is missing (it’s an Enterprise only feature). My social media toolbox wouldn’t be complete without a tool for analyzing social media updates. For this, I like to use HootSuite, but I also use Bit.ly, which not only let’s me shorten URL’s, but I can also analyze which shortened links got clicks and where they primarily came from (and even at what times). One important thing I wanted to mention is that there are literally hundreds of tools out there. A good place to start is to use one good social media tool to help you create content, one to help you monitor your accounts and another for analyzing your social media accounts. Then, as you get comfortable with them, add additional tools into the mix. This way you don’t overwhelm yourself if you’re not used to using social media tools. So I have to ask, what other tools are you using to manage your social media accounts? What do you like about your tools (or wish they did better)? Leave a comment below. Next Next post: Mailshot Pro – Group emails done right!